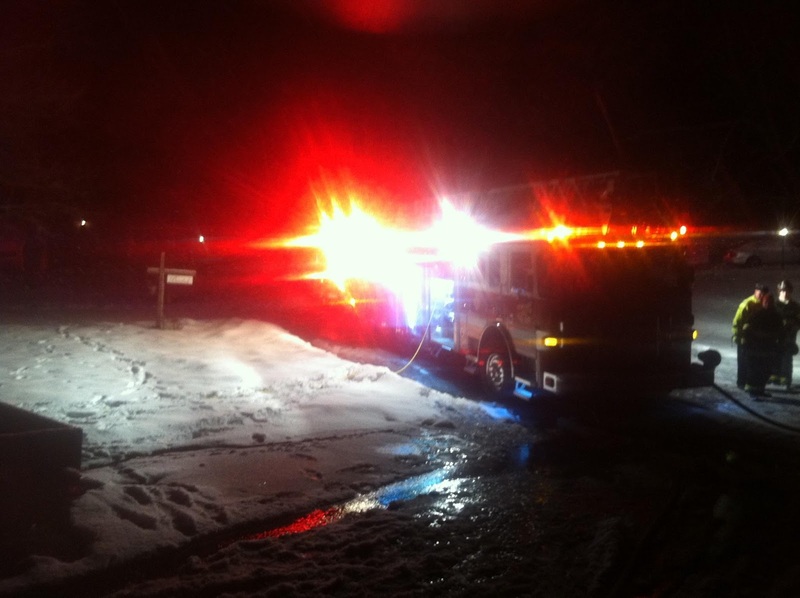 For the first alarm in March Penfield Volunteer Firefighters received a call at 1:35 AM on Harwood Circle for a vehicle on fire by the house with extension to the garage and the possibly with an elderly couple trapped in the home. The 2nd Assistant Chief was first on location within minutes and reported nobody trapped but did have a vehicle on fire very close to the garage. As fire crews arrived and began to attack the fire there was an explosion from the car which caused the hood struts to shoot out of the front of the car like arrows from a crossbow. 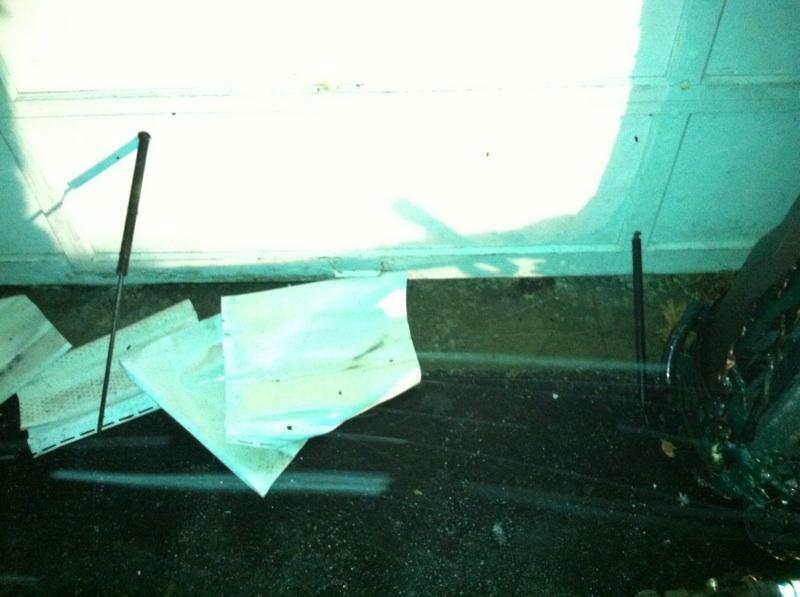 These struts ended up being impale in the garage door. Training is credited with preventing serious injuries to the firefighters as they are trained to fight car fires from the corners of the vehicle and not straight on. Firefighters did an excellent job attacking the fire and pushing the flames away from the home preventing further damage. 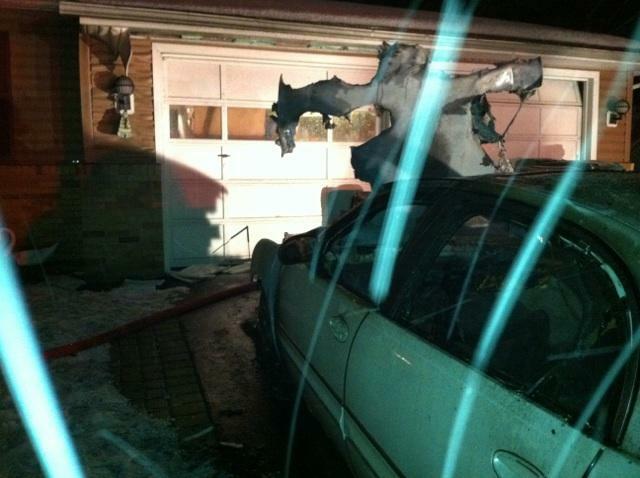 The car obviously is a total loss, there was some cosmatic damage to the home. Luckily for the home owner an alert neighbor called 911 when he did, had the fire not been discovered when it was it surely would have spread to the garage and then the home.